Bollywood Industry have given birth by many brilliant faces and the number is ever increasing. Ranging from the amazing actors to producers, all credit goes to the Indian Film Industry. Another popular name in this industry is Salman Khan. Undoubtedly, he is a well-known name in Bollywood and is credited for many big hits in the Indian Film Industry. Salman Khan, son of Screenwriter Salim Khan, started his acting career in Bollywood in 1988 by playing a supporting role in the film “Biwi Ho To Aisi”. He got a leading role in his next film “Maine Pyar Kiya” in 1989 which proved to be a great Bollywood success. Salman Khan topped the charts in the 90s with his other films like “Hum Aapke Hain Kon” released in 1994, “Karan Arjun” released in 1995, “Biwi No. 1” and “Hum saath saathHain” released in 1999. CNN mentioned Salman Khan as one of the biggest stars in the world with over millions of fans in Asia and well as in abroad. He got the Filmfare Award for Best Supporting Role in the film “Kuch Kuch Hota Hai”. He faced a decade of decline in his career in 2000s but made a comeback in Bollywood with more power. He gave a series of Blockbuster movies consecutively including “Wanted”, “Dabangg”, “Bodyguard”, “Ek Tha Tiger”, “Kick” and “Bajrangi Bhaijaan”. The total gross business of eight of his films was 1 billion Indian rupees and thus he made a Bollywood record of being starred in the highest-grossing nine Bollywood films in separate years. #1. Salman Khan has the honor of being one of the few personalities in the acting world who is being listed as one of the “Most Handsome Men” in the list of People’s Magazine. #2. In the honor of Salman Khan, a restaurant named “Baijaaanz” is opened in Mumbai in which Khan’s favorite dishes are on the menu and the interior is filled with Salman Khan’s posters. The look of the restaurant is similar to his Bandra House. #3. Salman avoids communicating online so he does not have any email id. He said that he never felt the need of an email id because he have phone. #4. Salman Khan gave a surprise gift to the villagers in Karjat on 2015 New Year. The entire unit of “Bajrangi Bhaijaan” painted the houses in the village on the lead of Salman Khan. #5. Salman Khan is obsessed with soaps. He has accumulated every type of soap in his bathroom including fruits and natural extract soaps. #6. 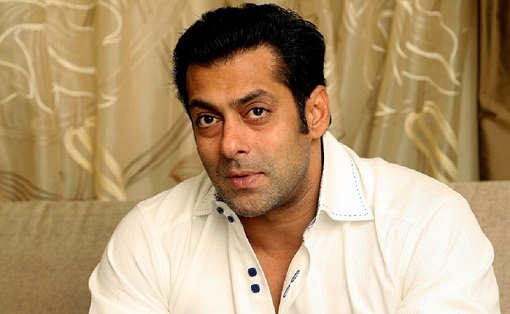 The favorite actor and actress of Salman is Sylvester Stallone and Hema Malini respectively. #7. He love cars and BMW, Land cruiser and Mercedes-Benz are his favorite. #8. Salman Khan was the first one who was offered to play the role of Shahrukh Khan in Baazigar but he rejected the offer. #9. Khan suffers from face nerve disorder diseases known as trigeminal neuralgia. #10. The poster of film “Jai Ho” is painted by Salman Khan.